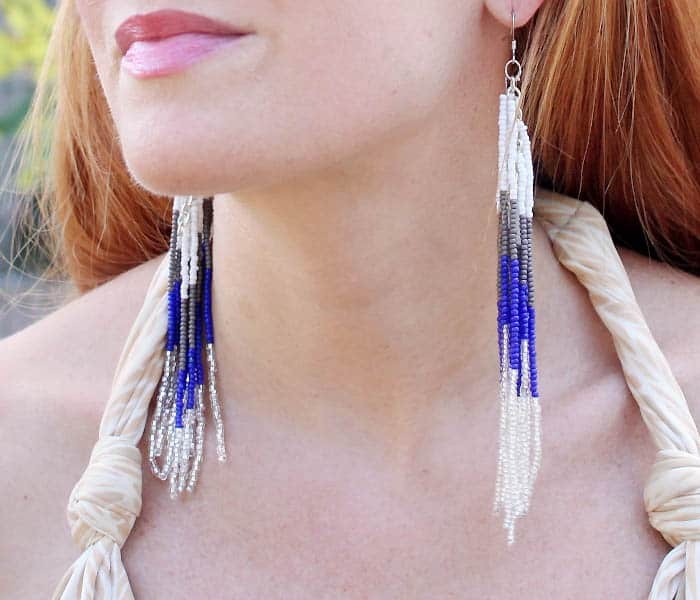 Seed beads are great for long earrings because they provide impact and color without adding uncomfortable weight. 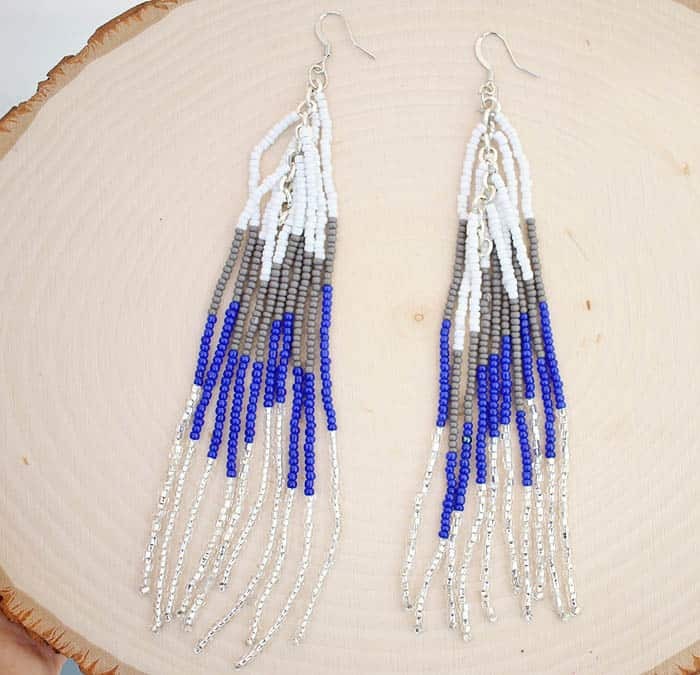 I gave these a beach vibe by using neutral colors and a pop of blue. 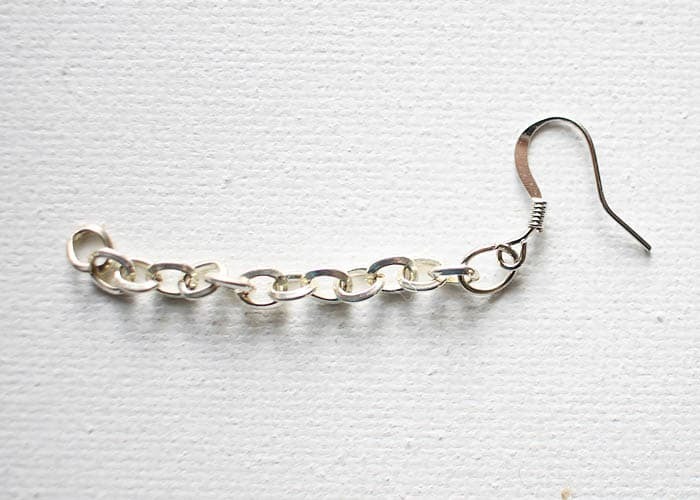 Cut the chain to 1 1/2 inches long. 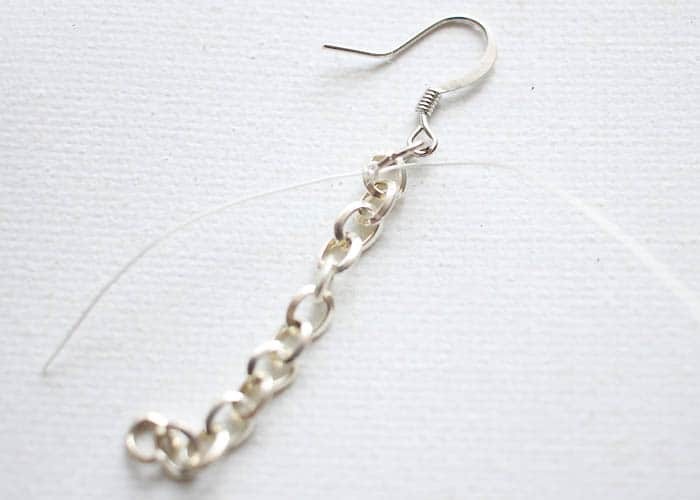 Using the jewelry pliers and a jump ring attach the earring hook to the chain. 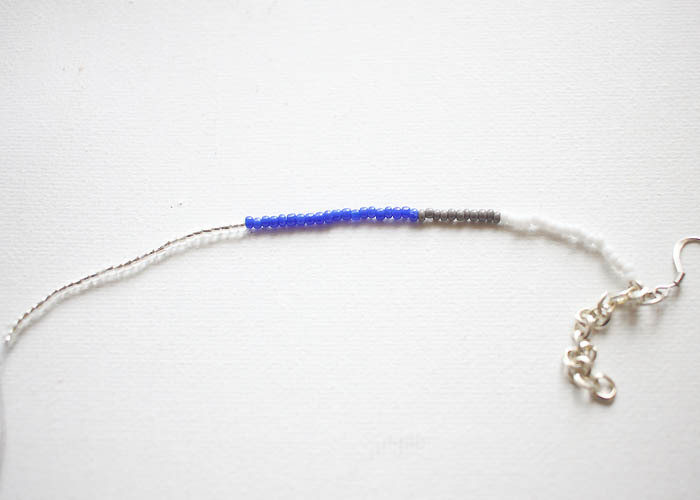 Cut a piece of bead stringing wire that is 6 inches long. Knot it to the first section of chain. 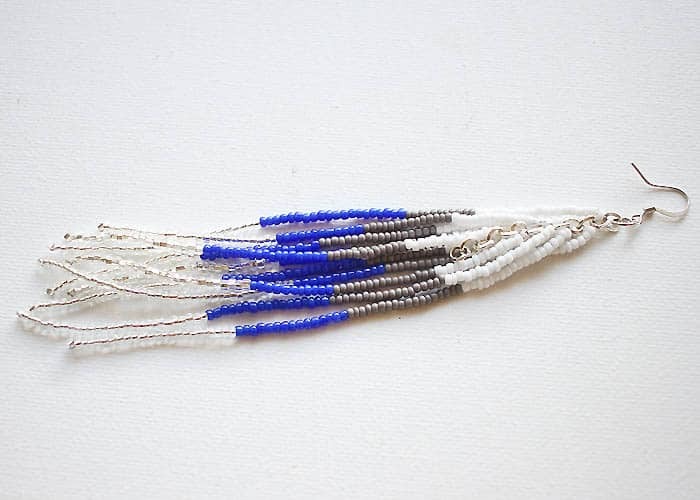 String on the seed beads. I used approximately a few inches of each color. 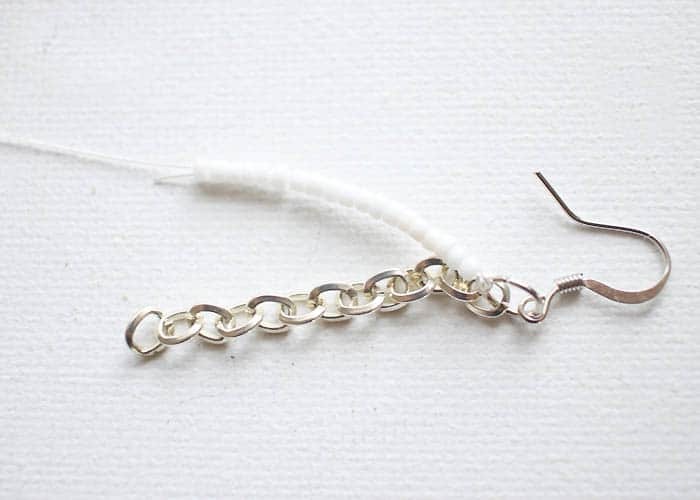 String on until you reach 1 inch from the end of the wire. 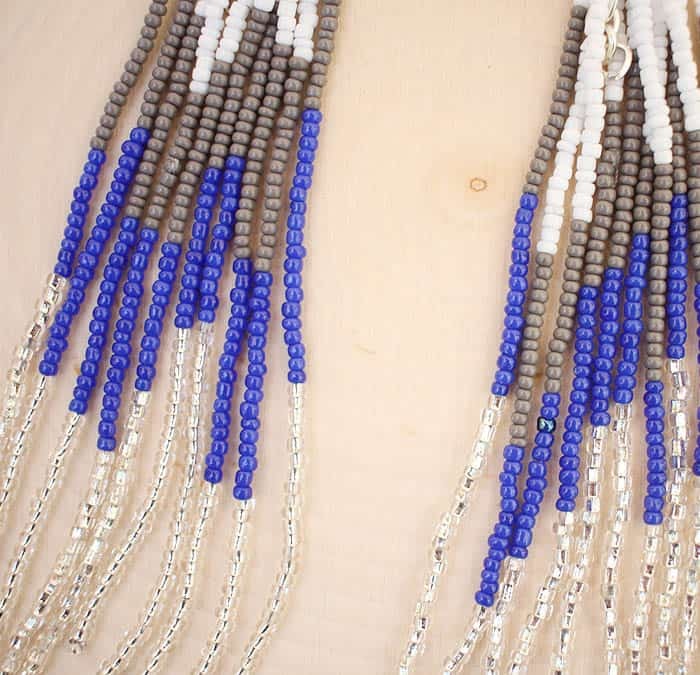 Make a few tight knots to secure the beads. Repeat the steps, this time knotting the wire on the next chain link down from the top. 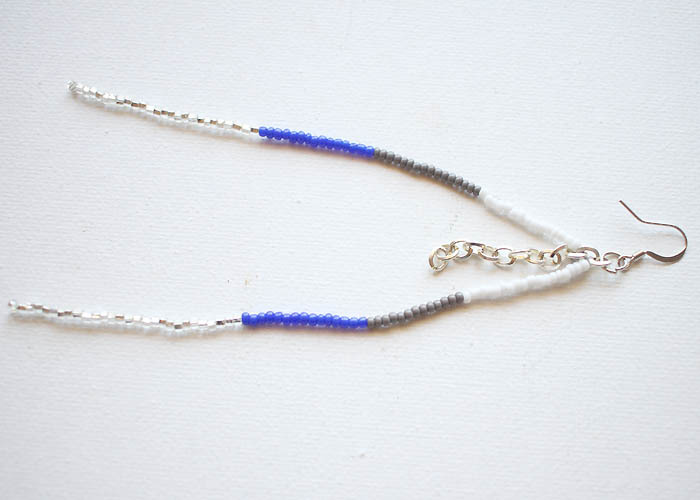 Each chain link gets a beaded strand knotted on to it.